AMP’s partner for the Minnesota project was former vice-presidential candidate (and now an AMP advisor), Winona LaDuke. 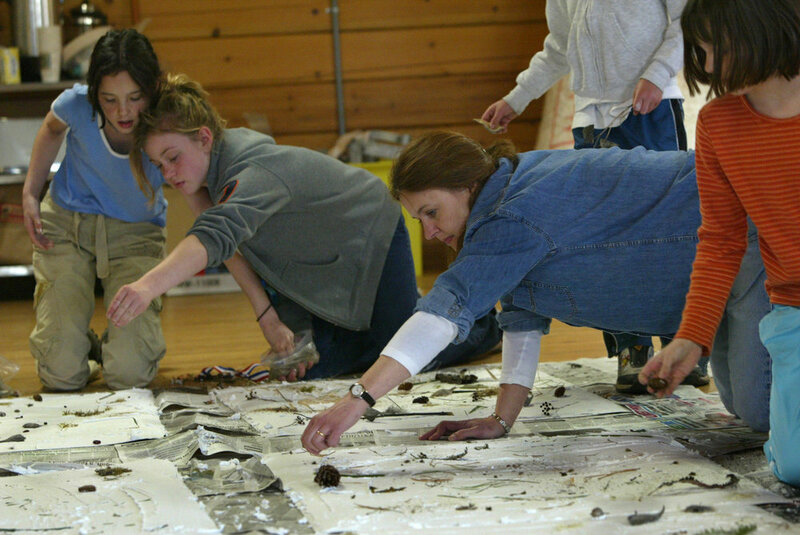 In the first stage of the project, young Native Americans from LaDuke’s White Earth reservation and Girl Scouts from Minneapolis studied and made drawings of animal footprints that interested them. 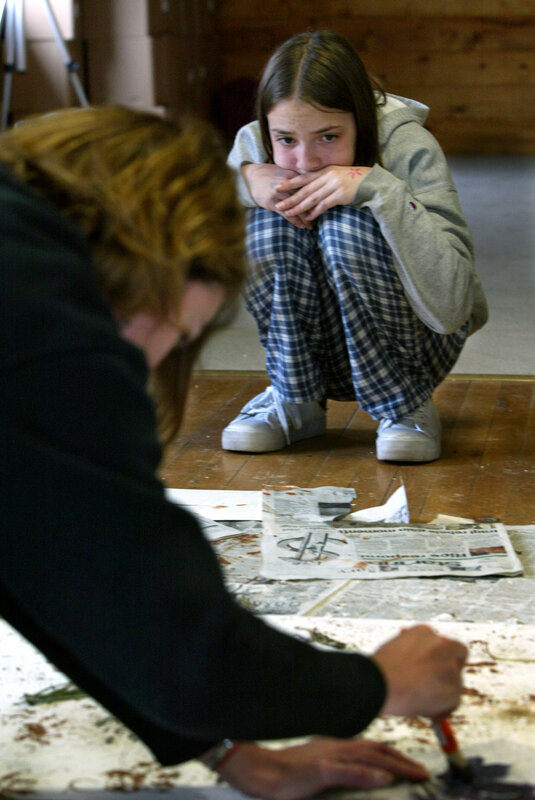 Ellen traced the footprints at her studio to make stencils of them, before heading to the White Earth Reservation where the two groups of kids met each other for the first time. 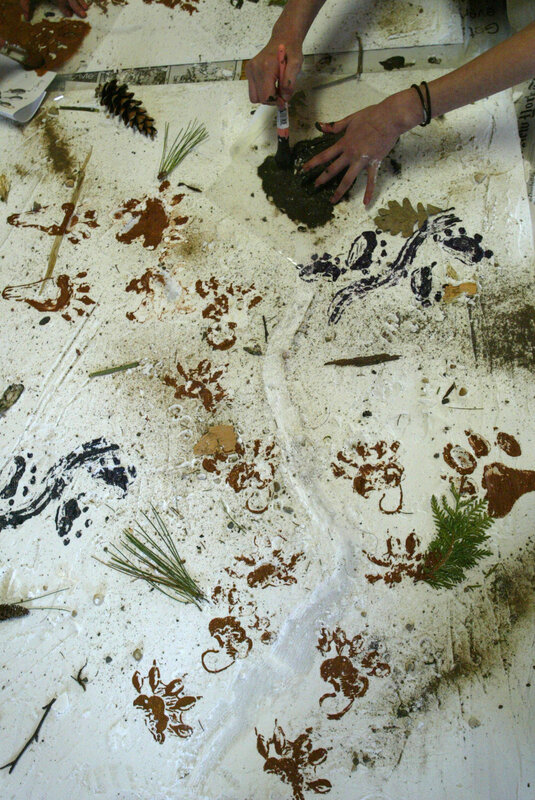 Collecting additional materials on a nature walk, the kids then used the stencils and materials to make impressions in plaster on two eight-foot-square matte board panels. 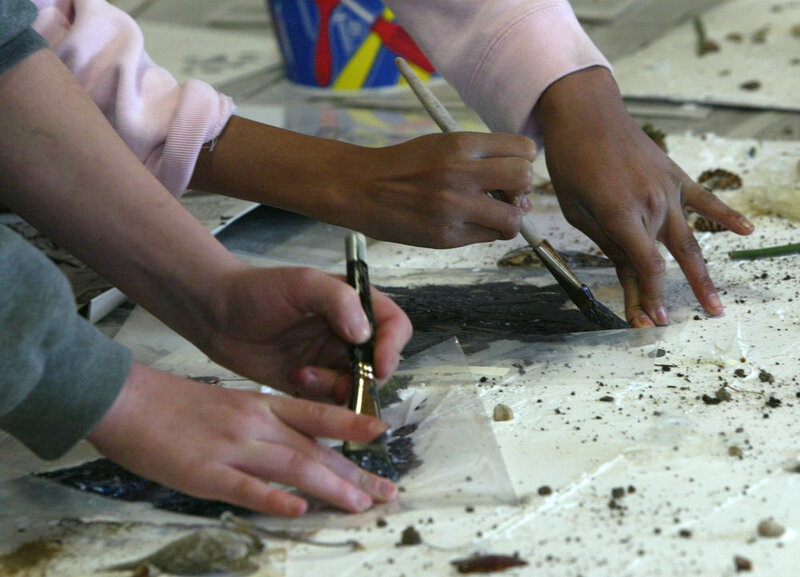 The result is a subtle and beautiful abstract element for the mural.